Just when the last traces of the surprisingly graceful royal wedding have evaporated and Diana's legacy has been thoroughly ensconced in an impenetrable saccharine glaze, we are confronted with a new abomination from across the pond. Fergie, former Duchess of York (as opposed to former Blacked Eyed Pea), has signed up to do a reality show about the ongoing disappointments, burdens, aggravations, and petty annoyances of being a former personage. As if the whole thing wasn't real enough already. Why can't she just suffer in silence? Hello Kitty - Hello Kitty appears frequently in these pages, but rarely as the sort of personal train wreck that one normally associates with reality show subjects. 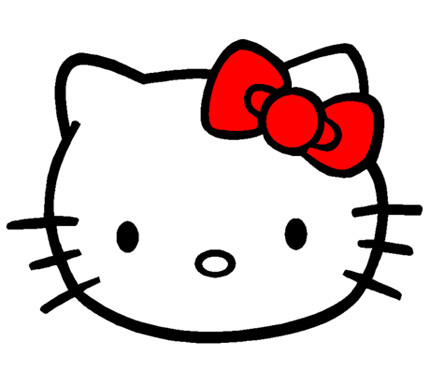 Hello Kitty is not depressed, she doesn't have a substance abuse problem, and she's not a recovering rock star. But she is hopelessly, unbearably cute. Hello Kitty doesn't meow. She doesn't eat. She doesn't crap and pee around the house. She peers plaintively into the inner reaches of our souls, an anime Rorschach Test. And this makes her the perfect reality show where we become the subjects. 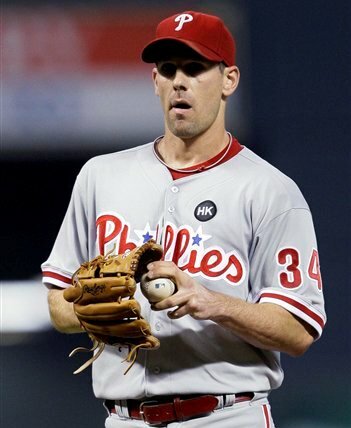 Cliff Lee - Second in the Phillies dominating pitching rotation, Cliff Lee has Philadelphia phans in a rare state of giddiness that is best compared to a middle school crush. The guy turned down big bucks from the Yankees in order to return to his roots in Philly. Good for him on two counts. His current ride on the love train would make his reality show worth watching, especially in Philadelphia. Cliff has a couple of problems, though. 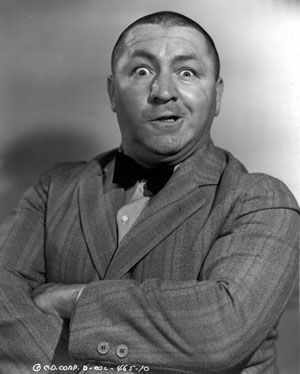 Like HK, he has no known dysfunctions. And his name recognition drops exponential with each hundred miles from the top of William Penn's hat. Oh, and you can catch the guy live doing the real thing. When the real thing is better than the reality thing, the reality thing is probably in trouble. Alas, it is not to be. As one online source describes it, "the six-part television docu-series Finding Sarah documents the Duchess of York's emotional struggle to rebuild her life." Naturally Oprah, who has plenty of time on her hands these days, had something to do with this reconstruction. Oprah, Inc. was designed to counsel distraught, troubled folk that are generally unequipped to deal head-on with the everyday setbacks that life casts their way. Even if those setbacks include self-inflicted tumbles followed by regret and a long slow redemption, all observed from a palatial manor, financial stability, and good health. It's the whole clumsy sequence of rise, fall, and rise, or vice versa, to which we've become so accustomed in recent years but which lacks the grace and unpredictability of the best fiction (see Tender is the Night) or even the messiest real lives (see Scott Fitzgerald while he was writing Tender is the Night). Fergie is trying to find herself, and Oprah has just the right tonic for soul seekers. Dr. Phil, that harsh provider of roadmaps for those unguided by any inner sense of personal destiny, makes an appearance on the first show and tries to fix Fergie. After Fergie emotes about her troubled youth, during which her ponies were taken away, Dr. Phil swoops in with the time-tested “you are depressed; you have self-hatred." Well, I guess she's about as depressed as a rich lady living independently on an estate in England with financial security and good health can be. Which apparently is pretty depressed because the whole show is, I'm told, enclosed in a nearly impenetrable milieu of bluesy, pathetic despair. When you're finished watching this thing, make sure you have a full bottle of Prozac or Jack Daniels handy. Actually, the JD might be advisable before the production starts. Dr. Phil surprisingly finds Fergie unfixable. An incorrigable bore, hiding behind layers of denial and unwilling to confront her true self. Unworthy of a roadmap. Damn, that's cold! Dr. Phil is getting his game on as he prepares to assume the mantel of Oprahdom. Anyway, the confrontation with Dr. Phil leaves Fergie to wander alone in her personal wilderness of self-doubt for another five episodes. That worked out well, didn't it? The good doctor will no doubt be make another guest appearance in episode six. If Fergie warrants a reality show of her very own, surely there are others out there who are equally dysfunctional and needy.